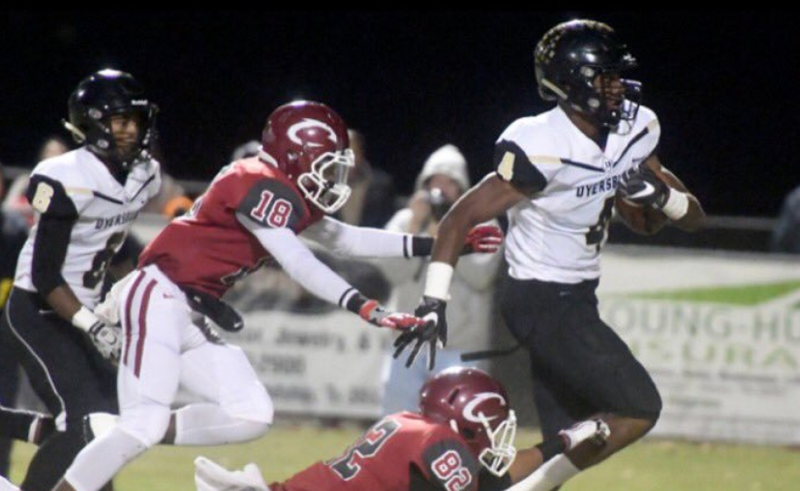 Dyersburg, Tennessee isn’t known for producing a lot of top-tier football talent. But there’s one linebacker from the small town in West Tennessee who is getting a lot of attention from SEC schools lately, and one of those in the in-state Vols. Chris Russell is a three-star linebacker who played for Dyersburg High School this past season and was once committed to Memphis. Russell decommitted from the Tigers the same day Tennessee offered him in late November. He also holds SEC offers from Auburn, Texas A&M, and Arkansas. Russell hasn’t visited Tennessee since last summer, but UT’s coaches have visited him and kept in contact with him. On Wednesday, Tennessee’s co-defensive coordinator and inside linebackers coach Kevin Sherrer stopped by Dyersberg to check in on Russell according to his head coach, Bart Stowe. According to the 247Sports Composite rankings, Russell is just the No. 1,218 overall player, No. 53 inside linebacker, and the No. 38 player in the state of Tennessee. But those rankings don’t tell the whole story for Russell, an athletic linebacker who was a semifinalist for the Class 4A Mr. Football Award this past season. Russell has already taken an official visit to Texas A&M last weekend, and he’s planning on visiting Auburn this weekend. After that, he’ll visit Arkansas on January 25th, and he’ll take his final official visit to Knoxville on February 1st, the final weekend before National Signing Day. Make sure you become a member of RTI Premium to get all of our in-depth recruiting analysis, interviews, and more heading into National Signing Day! The 6-foot-1, 225-pound linebacker has some very good athleticism and versatility. His speed stands out immediately on his highlight film, and he can run sideline-to-sideline and chase down running backs and quarterbacks. His agility is what sets him apart from other players on the field. Russell has good instincts and tackles well in space. Take a lot of his highlight film with a grain of salt considering the competition he faced, but he’s still a very impressive prospect who has gone mostly overlooked until now. In 10 games in the regular season this past year, Russell totaled 80 tackles, 12.5 tackles for loss, seven sacks, 12 quarterback hurries, 10 QB knockdowns, two interceptions, three pass deflections, three forced fumbles, and two fumble recoveries. He returned an interception and a fumble for a touchdown on defense as well. On offense, Russell totaled 725 rushing yards and 16 touchdowns on just 52 carries. That gave him a 13.9 yard per carry average, and he scored a touchdown on 30.8 percent of his carries. Tennessee isn’t targeting many linebackers between now and National Signing Day on February 6th, but Russell and four-star California linebacker Henry To’oto’o are the two biggest targets at the position. The Vols didn’t sign any “true” linebackers in the early signing period for the 2019 class, but four-star athlete Quavaris Crouch will play linebacker for Tennessee. Jeremy Pruitt and his staff would ideally like to add at least one more linebacker to this class, and they would likely take two if there’s enough room.